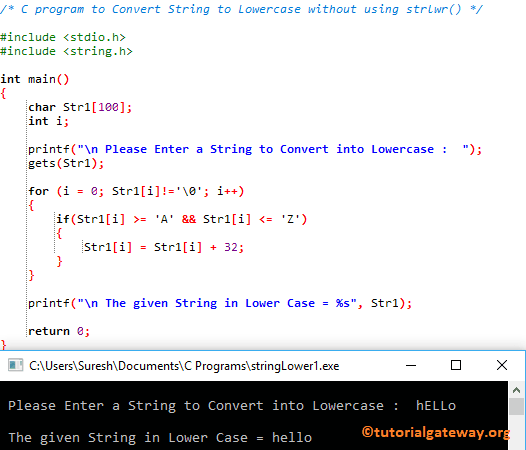 This program allows the user to enter any string or character array. Next, it will use For Loop to iterate each and every character in that string, and convert them to Lowercase. We declared a character arrays of size 100. Below statements asks the user to enter any word, and assign the user entered string to Str variable.